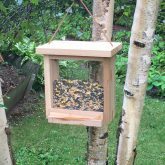 By providing wildlife feeders & houses during important times of the year, you can help improve the environment for our feathered friends & more. 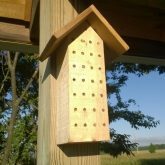 Enjoy the added benefit of the activity and natural beauty they bring to your personal environment! 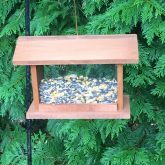 A great source of information on all things birding. 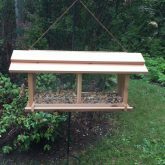 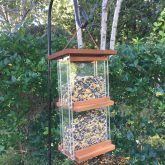 Chickadees, Nuthatches, Titmouse, Pine Siskin, Redpolls plus many more regional birds will flock to the Hi-Rise feeder. 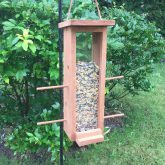 Attract many types of birds depending on your seed mix through self filling feed troughs.